Some of the good lookin' cattle I get to see in my travels. In my travels throughout the northern plains states and western U.S. I am often asked by producers; “How do I produce CAB?”. First, one must understand the specifications of the Certified Angus Beef® brand, which have been covered here in detail previously. Then, it’s important to understand that there is no certification process for live animals, so a ranch cannot consign the cattle or commit them to the brand prior to harvest. Over 85% of the U.S. packing plant capacity is licensed to produce the brand, so most fed cattle will find their way through the proper channels to be considered for qualification into the CAB® brand. The real chore for the individual producer is not finding a market niche, it’s simply to build the quality (internal quality, as in “carcass quality”) within the cow herd and then marketing that quality to an advantage. I think that producing quality carcass genetics is an often misunderstood concept, one that’s ridiculed by some as a “fad” or a “chase” toward a single trait, with dire consequences. Admittedly, there have been times when the cattle business has seen fads, when we’ve taken what seemed like a good thing way too far. The easy example to highlight is the vast difference in mature frame size of the 1950’s versus the 1980’s. The word “extreme” hardly describes those contrasts. At Certified Angus Beef, we don’t think in terms of chasing after marbling, the most influential of the 10 carcass specifications. 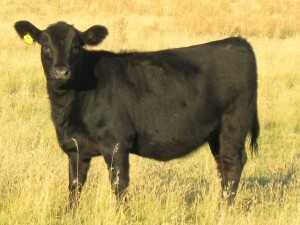 We think in terms of getting the best out of Angus cattle. That’s exactly what I tell people. 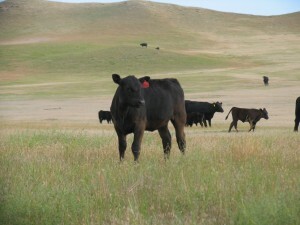 If you have Angus cattle, you’ve got the foundation for success in terms of carcass quality. After all, the “Butcher’s Breed” is not an accidental nickname. So, there’s an accurate assumption that with Angus cattle we’re starting with more than average potential to generate enough marbling to hit the specs for the CAB® brand. But it’s just potential unless you add focus. Clearly, a balance of economically important traits is the key to selection, but keeping positive pressure on marbling is relatively easy to do. I can find high and low birth-weight bulls with marbling as well as high and low growth bulls with marbling, so why not go with marbling? After that, genetic selection within the breed for cattle that are, at the very least, above breed average for the marbling EPD will get you moving toward the goal. As well, I’ve spoken to more than one rancher that has had exceptional carcass results with their home-raised calves only to find out that they didn’t go to any great lengths to select for marbling. They’ve chosen genetics (and the Angus breed, for that matter) based on maternal traits, only to find that marbling came along for the ride. No doubt, there is enough variation within the Angus breed to prove this concept wrong. I’ve seen very poor carcass data on Angus cattle too, but it need not be an insurmountable obstacle if a producer is at least willing to be a student of the breed and mindful of carcass traits when choosing genetics.